Looking for a great gift for the Dad in your life? 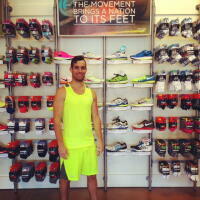 Check out some of our staff favories at Fleet Feet Atlanta! 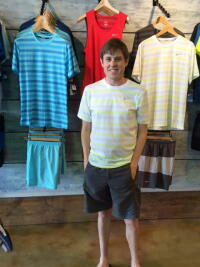 Check out this Nike Dri-Fit Touch Tailwind Short-Sleeved Striped Shirt! Great on the run or casually wearing around town! 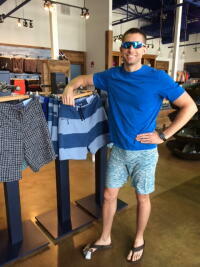 Mike is showing off the Under Armor Heat Gear tank and shorts. Great for early morning and late night runs this summer! 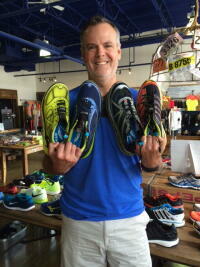 Finally, Jason is showcasing all of our Hoka models. Light weight Maximal cushioning will make you wanna Fly! He also loves his Icebreaker merino wool shirt that leaves him running without worrying about moisture management and comfort!